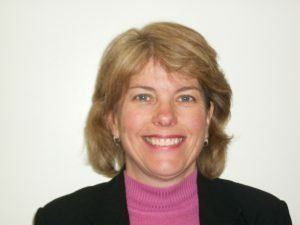 Dr. Fran Zenzen has elevated to director of business development for imagery systems within General Dynamics‘ (NYSE: GD) advanced information systems unit. The company said Monday that she will lead a team responsible for identifying and acquiring new business for the AIS unit and its customers, the company said. Prior to this position, she served as director of ISR strategy (intelligence, surveillance and reconnaissance) in the company’s C4 systems unit. According to General Dynamics, she has 30 years of experience in hardware and software engineering and program management. Zenzen is also a member of the Institute of Electrical Engineer, the Society of Women Engineers, the Institute of Industrial Engineers, the American Society of Quality and the Institute for Operations Research and the Management Sciences. The company said she is also a published author and speaks at technical conferences focused on software reliability modeling and subcontractor performance. Within the C4 unit, 32-year company veteran Sandra Wheeler has elevated to vice president for tactical networks and is leading the Army’s WIN-T program.